Back when Facebook pages first became “all the rage” among brands, conventional wisdom was that you had to have one if you were serious about your business. Now, this wasn’t necessarily a false statement, but it lacked any big picture thinking. 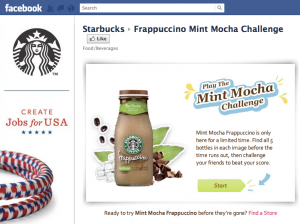 You aren't Starbucks, but you still need big ideas for your Facebook page. While the sentiment was correct, most companies jumped in blindly without knowing the how or the why. So whether you are just now starting your page or if you’re tired of it sitting there without any activity, I am creating this tutorial to help teach you how to be strategic about your Facebook page. Prior posts focused on how to put your page together. Future posts will focus on how to manage your page. But this one is all about understanding why you have a page and how it’s going to help your business. Your Facebook page aside, it’s important to remember what it is your company is looking to do. What is your mission statement? What are the goals of the company? Are you a service company? Retail? Is success of your company based on customers in through your door? Are you a non-profit looking to get out a specific message? Additionally, who are the customers? What is the demographic? Are they mainly women aged 35-50? Teenagers? Middle aged men? The audience will certainly help mold your approach to your Facebook page. These are all things that need to be consistent with your purpose on Facebook. So it’s always good to start here. Your page goals are both big picture and something you can measure against. Are you looking to drive more foot traffic? If so, check-ins, deals and fan-generated photos could be a focus. More traffic to your website? Create engaging content that can easily be shared. More brand awareness? Create promotions that your fans can spread for you. Don’t start out with a long list. Keep it simple and focused. What should be the tone of your page? Conversational? Informative? Casual? Professional? It’s important that the tone is consistent. So determine this ahead of time so that all staff who manage the page have a common understanding. In terms of big picture, what can you measure against to determine success? Set a number of fans you want to reach within a month, three months, six months and a year. Set a goal for number of interactions in a given day or week. Set a goal for number of wall posts or pictures shared by fans. It’s good to have these goals since they can all be measured. What is it that you have that can help make an engaging Facebook page? Blog: An easy way to keep your page fresh is by sharing regular content from your blog or website. Keep it loose, interesting, engaging and conversational. Pre-written content: Do you have other website content that can be shared that would be interesting to your fans? Video: Do you have a YouTube channel? Video is some of the most viral content on Facebook when done right. Partnerships: Do you have partners, or can you find new partnerships to help drive traffic to your page? Are there partners who already have a strong, engaged following that can be driven to your page? Your company, story and staff: These may be your greatest assets. Give your page and your brand personality. Be human. Share your company’s story, introduce staff members with video and photos, give tours of your store. Before you get started, you should know what you have to work with and then leverage those assets with a plan. Before you do anything, know the resources you have to work with. Do you have one staff member who will handle management of the Facebook page? How much of their time can be dedicated per day? Will they also manage during off work times? During the weekends? Will you have a team of people managing the page? How will they all be trained and measured, and how will they communicate? It’s important to understand what resources you have ahead of time and reserve them for a designated number of hours every day or week. You can’t create a plan based on having someone who can manage the page every day when you only have access to a couple of hours of work per week. Alright, now we’re dipping into the fun stuff. You know your company’s goals. You’ve set your goals for this page. You know what assets and resources you have to work with. Now let’s plan it out. When managing your brand, the more structure the better. Set expectations for your fans, and make it fun and engaging. Will you have someone available Monday through Friday? Great. Now let’s set a theme for each one of those days. Special Monday: Feature a different item that is for sale. Maybe it’s a special available only to Facebook fans. Two for Tuesday: Feature a product that comes better in pairs. Wacky Wednesday: Feature photos of staff in wacky poses or attire. Thirsty Thursday: Feature a different happy hour drink special. Friendly Friday: Fans and friends share pictures of themselves with their friends at your store. Now, it shouldn’t just be the theme. You can also plan out the content that the theme is built around. Will you be writing a blog entry? Who will write it? What specifically will it be about? Will someone need to take photos or video? Who will do it and when will it be due? This is all very general and off the top of my head. Obviously, the theme of your day will depend on your company and your goals. And, please, don’t make your themes as corny as my suggestions. But this can give you a head start. If you build it, they will come…? Nope. This ain’t Field of Dreams, people. You need to drive people to that page. Give them reason to go. Keep them engaged when they’re there. And make it something your fans want to share with their friends. Create signs that are in your store windows and at your registers to “Find Us on Facebook.” Indicate the benefits (special deals or whatever your benefits are). Create a vanity URL so it’s easy to remember and display it in big letters. Promote that page on your receipts, send emails announcing your page, put the URL to your page at the bottom of emails and in staff email signatures. 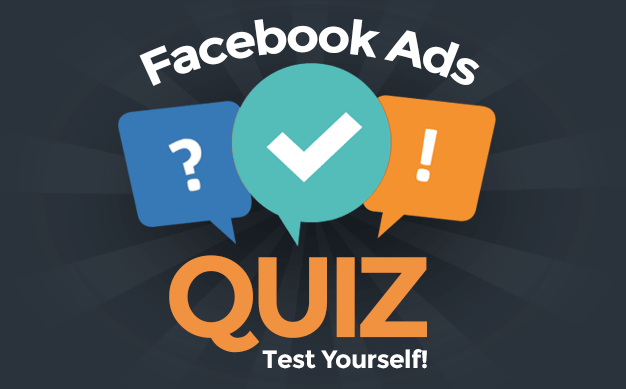 Make Facebook ads (they are not expensive!). And please… Make it prominent on your website. Your site and Facebook are not two separate entities. They need to work together. Alright. So you’ve done all of your planning. You’re executing. You’re promoting. But are you reaching the goals you set for short-term success? Learn from both your successes and your failures. Figure out what’s working really well. Maybe you do more of it. Find out what isn’t working and do something else. But the entire purpose of your page is to respond to the feedback of your customers. Ask them what they like and want. Give it to them. React. Consistency and structure are important. But that doesn’t mean you are rigid. Ride things that are working. But know when to change things up when they aren’t. I hope this is a good kick start to your Facebook page strategy. Are there other steps or details that you have found successful? Please share!